Based out of Austin, Texas, you might think NextView Moving is just a local moving company, but we serve the entire great state of Texas! As Texas movers, we’re making Texas the new local. No more worrying whether you live in the service area or specific zip code of local moving companies. NextView Moving values the individuals in El Paso and Amarillo just as much as our neighbors here in the capital. Heck, we’re all Texans, aren’t we!? 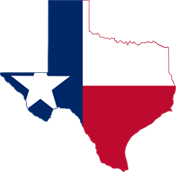 Wherever you are in Texas, we will help you move anywhere within the Lone Star State. As movers go you will find no other company to provide exceptional service like we do. Within the state we have extensive service options to make your move an easy one. From full service to do it yourself services, we are “here” to help you get “there”, wherever in Texas that might be. NextView Moving has a cross trained staff in commercial and residential moving services as well as specialty moving. Not to mention, we offer a free, in-home estimate to save you some work and to provide you with the best service possible. Choose one of the premier local moving companies you can trust. Whether you are staying local or moving across the state, NextView Moving can handle all of your moving needs. Give us a call or drop in today and see how one of the greatest local moving companies can help you with your move today.